Sometimes success doesn't mean a continued run at staying on top - sometimes it means failing down several times before coming back stronger than ever. According to Refinery29, '90s it girl Jaime King is poised to be making a comeback on the runways. She’s recently appeared in a few shows, one of the most notable appearances on the catwalk at Paris Fashion week. 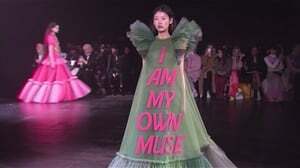 She also walked the runway for Miu Miu and can be seen in the all-female ensemble cast in the box office hit Ocean’s 8 - does this mean that since she’s popping up everywhere that her career will once again catapult her into the spotlight? Like most people in life, celebrities have ups and downs and highs and lows in their personal lives and in their careers. Some lows often see people retreating from being in the limelight in order to take a break and rarely be heard of ever again, while others find that taking a break gives them time to regroup and come back tougher than ever. There’ve been a number of celebrities who’ve made remarkable career comebacks - both from a local and international standpoint - and it's these celebs who’ve shown that not only is it possible to bounce back from moments that almost seem impossible to recover from, but that you can come back and be more successful than ever. Here’s a round-up of celebrities whose return to the spotlight have been nothing short of remarkable. Erm!! Say what about ur inches ?? @brandshaircouture #?? 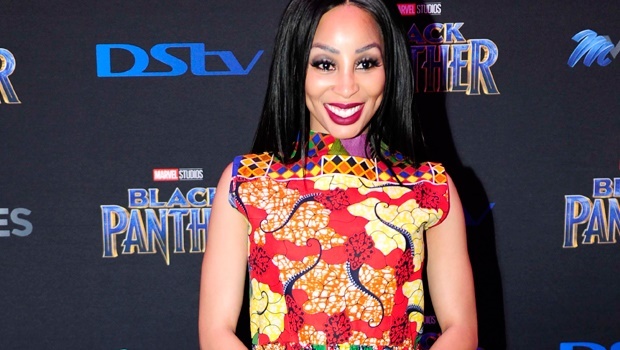 One of the most inspirational career comeback stories is that of actress, influencer and TV personality Khanyi Mbau. The star has had her fair share of ups and downs, but in a revealing interview with Marie Clare, Khanyi is pretty candid about hitting rock bottom. In the interview, she opens up about one of the lowest moments in her life - her toxic relationships with two high-profile men, including the much talked about affair with a businessman, who ended up leaking explicit photos of her after their relationship disintegrated. Following that, and in addition to the negative publicity that stemmed from it, she admitted that the price of fame proved to be very high because she made too much too fast and lost it so quickly, that at one stage in her life she lost so much that she had to move out of her home to live with a friend in order to make ends meet. She adds that she stopped caring, "fell into depression" and didn't hesitate to hurt others because she was "a law unto herself." Today, following the publication of her book in 2011, she’s back on track with a thriving career, an active social media presence and living the kind of life that most of us can only dream of. America’s queen of pop’s heartbreaking meltdown made headlines on a near daily basis when a series of public incidents and worrying behaviour exhibited by the star led to one of the worst years of Britney’s life back in 2007. From shaving her head, to attacking a paparazzi’s car, her much publicised breakdown was treated with the kind of scorn and derision that has only contributed to the awful stigmas around mental health. In hindsight, the way Britney’s mental health was used as fodder for gossip not only fed into the idea that her value and bankability was dependent upon how “perfect” she was, but it implied that she wasn’t allowed to be human and be overwhelmed by the stress and pressure that so often comes with fame. Fast forward a few years later and she’s since released comeback albums and has scored a hugely successful Las Vegas residency tour which has her raking in the money. On the subject of meltdowns, another female celebrity artist who was also relentlessly mocked for having a breakdown is the singer, songwriter, actress and reality TV star 'Songbird Supreme'. In what we know now as the moment when she was first diagnosed with Bipolar Mood Disorder, Mariah Carey’s 2001 meltdown was compounded by the fact that her movie bombed, her album, Glitter, also failed and her attempt at a comeback album, Charmbracelet, also failed to make a splash. However, she made a turnaround with her album, The Emancipation of Mimi, which spawned some of the biggest hits of her career to date, and she hasn’t looked back since. It's called a Joyce Byers appreciation post. One of the biggest comeback stars from the breakout hit series Stranger Things is Winona Ryder. Following the shoplifting scandal that halted Winona’s career mid-stride, she’s finally back after years of being isolated and ostracised and we couldn’t be happier. It shouldn’t have taken this long for her to relaunch her career when so many other celebs have made epic mistakes that they haven’t paid for, or that have just made them so much more bankable, but the rampant misogyny and sexism that’s always been so rife in Hollywood has proven time and time again that women have always gotten the short straw. But with conversations around #MeToo and calls for equality within the industry, we truly hope that women will stop being so maligned and sidelined all the time.